As I felt confident after that climb that I would make it up the Torri, I turned left in Turri Piano and revisited the final climb of the Giro of 2011. Sadly, the weather was not much better than it was back then – as I neared the summit, it started to rain harder, the wind got stronger and stronger and the temperature dropped to just above the freezing point. We hurled back down to Turri quickly and onwards to Bormio. 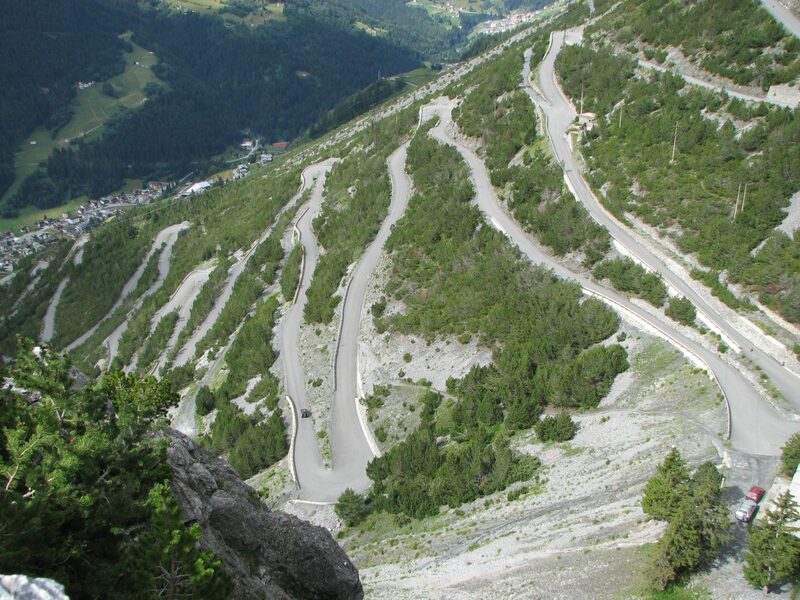 The climb up to Bormio 2000 didn’t look that difficult “on paper” so I decided to try and get up there too – I would abort if needed. Which (obviously) never is an option, but all joking aside, I got up there relatively easy again. We had a great sandwich at Chiosco da Michele, after which I descended back to Bormio and on to Valdisotto. I think that stages of between 50 and 75 kilometers are the best option for the next days. Altimeter gain is not really relevant, as long as the grades do not consistently get over 10%.